On a quiet, moonlit beach, a baby green sea turtle stirs from a dream of home. Slowly, slowly, with a tap, click, crack, the baby turtle embarks upon a mysterious nighttime journey. Gentle, tender verse and enchanting illustrations carry this tranquil tale from sand to sea. To ask other readers questions about I'll Follow the Moon, please sign up. Does it have a Spanish translation? This book has been kicking around in my Kindle library for a while, so I thought I'd read it and cross it off the list. I'm honestly baffled as to why it has such high reviews. Aside from the gentle rhythm and repetition that would make it a good bedtime read (I found it a bit of a soporific myself), this book doesn't have much to recommend it. The pictures are just okay, and the whole premise is flawed. This is a very unrealistic depiction of baby sea turtles. The reality is far more brutal and This book has been kicking around in my Kindle library for a while, so I thought I'd read it and cross it off the list. I'm honestly baffled as to why it has such high reviews. Aside from the gentle rhythm and repetition that would make it a good bedtime read (I found it a bit of a soporific myself), this book doesn't have much to recommend it. The pictures are just okay, and the whole premise is flawed. Also, this has nothing to do with the actual text of the story, but I noticed that in all the accompanying text (author bios, reviews, etc.) the word "it's" was continually used as a possessive, as if someone had gone through and edited every instance of "its", thinking it was a mistake. Like I said, it has nothing to do with the story... but I found it really irksome. This is basic English grammar, and I would expect better from an author who makes picture books for a living. Nice little story about baby turtles. Five Stars: A charming little book with rhyming verse. "I'm Five Stars: A charming little book with rhyming verse. "I'm coming, Mama, I'll see you soon. I know just how....I'll follow the moon." Accompanying the lyrical prose are stunning, colorful illustrations that feature the baby turtle. Truly, the pictures are remarkable. Both of my children, ages four and two, enjoyed this book. I think they found the verse soothing and they liked the repetition of the turtle following the moon. If you have younger children, this is a wonderful book to get for them. I highly recommend this one! I'll be honest, the second this book came in the mail and I opened it, I was already sold by the gorgeous cover with the most adorable baby turtle I have ever seen in my life. When I opened the book and read it? The illustrations are absolutely beautiful in soft, beachy colors that take you right to the beach immediately. From the eggs to the new hatch-lings to finding the ocean for the first time, these tiny creatures come to live throughout the pages both literally and I'll be honest, the second this book came in the mail and I opened it, I was already sold by the gorgeous cover with the most adorable baby turtle I have ever seen in my life. When I opened the book and read it? When I lived in Florida- I patrolled a section of Ponte Vedra Beach for Greenpeace looking for sea turtles! When we found the nests we would call in specially trained rangers. They would come and take the eggs to safe houses. The really cool thing was at high tides - after the babies hatched- we would gather and put them into the water to help them start their amazing journeys!!!! It was beyond COOL! This book did a beautiful job of tellig the story! First thing I notice when reading any of Stephanie's books, is the verse. The story flows so well and is so fun to read. It's also easy for younger ones to memorize, and eventually read themselves, because of the repeated phrases and the easy flow to it all. The other thing I notice immediately is the gorgeous illustrations. They're calming and are all relaxing colors. They are very eye catching and with the lilt of the story on your lips and the relaxing illustrations I found this to be a perfect bed time story. As with all of her books this includes academic lesson plans and this book even includes a coloring page in the very back! This book took my breath away when I opened it. The water color pictures are just beautiful and the colors of blue and green against the tan sandy shores are perfect. It's such a tranquil book, just looking at it. And though it's about the birth of a sea turtle and his search for his mother, it's not frantic. The turtle is sure he'll find the way. "I'm coming mama, I'll see you soon I know just how....I'll follow the moon." This phrase is repeated on each page and it again shows the bond between This book took my breath away when I opened it. The water color pictures are just beautiful and the colors of blue and green against the tan sandy shores are perfect. It's such a tranquil book, just looking at it. And though it's about the birth of a sea turtle and his search for his mother, it's not frantic. The turtle is sure he'll find the way. "I'm coming mama, I'll see you soon I know just how....I'll follow the moon." This phrase is repeated on each page and it again shows the bond between mother and child. Though the turtle can't see his mother, he knows she's there, just the same, just like the moon. The illustrator keeps the same calmness throughout the book so the words and actions, the background complement one another. Again, I tested this on my beach loving niece and she loved it, following along the repeated stanza towards the end of the book. We discussed the pictures, named the turtles, and mama turtle. This was a winner for both of us. i LOVED the picture of the baby turtle cuddling against the dirt! The text was just okay. The repeated couplet is kind of tidal. The font shtuff was regrettably kitschy. I read this to the cutest nephew EVAR while he relaxed in his new "nest" (bean-bag chair). This was one of the few more modern books that I could find on the free Kindle store just recently. Due to the cute and adorable baby turtle on the front and the title my attention was caught. And with the exception of one or two parts that aren't realistic this book was an adorable read that would be a great lullaby read for children. Basically there is a very small introduction about green sea turtles on the information page and then an explanation about how this book came to be. From there t This was one of the few more modern books that I could find on the free Kindle store just recently. Due to the cute and adorable baby turtle on the front and the title my attention was caught. And with the exception of one or two parts that aren't realistic this book was an adorable read that would be a great lullaby read for children. Basically there is a very small introduction about green sea turtles on the information page and then an explanation about how this book came to be. From there the story is sweet, a bit rhythmic and full of the hope of parental love. Children will be introduced to what it is like to be able to be on their own and to have a hope that will drive them in their future endeavors. What will make this book fun for children is the change of font that allows them to feel that the font has movement that is paired to the prose of the words. And although there is a repeated refrain throughout the story it doesn't truly take away from the actual plot. As for the illustrations they are beautiful and charming while I could just spend some time looking at them. They have a nice and wide touch to them even when the turtles are in the nest thus giving scope to the width of the world when compared to the smallness of the baby. And the colors even of the ocean are gorgeously caught. This is such an astounding little book! I love turtles of all shapes and sizes, but there is something truly magical about these baby sea turtles that made everything seem so perfect. "I'm coming, Mama, I'll see you soon I know just how...I'll follow the moon"
That saying just rolls right off your tongue like waves gent This is such an astounding little book! I love turtles of all shapes and sizes, but there is something truly magical about these baby sea turtles that made everything seem so perfect. That saying just rolls right off your tongue like waves gently pushing against the sea. If there ever was a lullaby for the sea and its creatures, this mantra seems perfect for it. I read this book out loud to all of my children and they seemed to get lost in the words of it. I even had my youngest say he felt like he was right there with the baby sea turtles, trying to find his way to the water too. The words are very creative but simple enough for even the youngest reader to understand everything that happens. 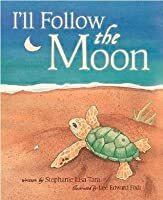 I'll Follow the Moon is perfect to read to your little ones as a bedtime story but also helps all of us learn more about these majestic little animals that rely on the moon to reach the beginning of their lives. This book is so fun and educational! It's a wonderful book to read to or with your children. With rich illustrations, and beautiful writing it is a book that you can enjoy over and over again. My daughter can't get enough of it and I am so happy with how much she enjoys it. It has some repetitive lines that helps younger children to interact and read along which is also awesome for their confidence in learning to read. This book is about the journey of a turtle from when it first hatches, to fin This book is so fun and educational! It's a wonderful book to read to or with your children. With rich illustrations, and beautiful writing it is a book that you can enjoy over and over again. My daughter can't get enough of it and I am so happy with how much she enjoys it. It has some repetitive lines that helps younger children to interact and read along which is also awesome for their confidence in learning to read. This book is about the journey of a turtle from when it first hatches, to finding his mother. I think that it has a valuable lesson to never give up. This turtle keeps telling itself over and over that it will find it's mother. The moon is it's guide, and though the journey seems long, the end result is the turtle getting to where he needs and wants to be. A gentle, comforting storybook with the message that even though the world is a big (sometimes scary) place, and even though we are sometimes asked to do difficult things by ourselves, mom is out there, and she is comforting and safe, and that is a constant. 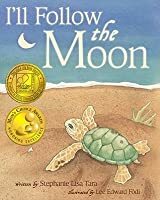 The message is told through the story of turtles hatching on a beach, surfacing, and following the light of the moon to find the water. The book is illustrated by Lee Edward Fodi, and many of the pictures are not very interesting. Mostly the A gentle, comforting storybook with the message that even though the world is a big (sometimes scary) place, and even though we are sometimes asked to do difficult things by ourselves, mom is out there, and she is comforting and safe, and that is a constant. 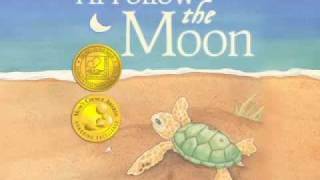 The message is told through the story of turtles hatching on a beach, surfacing, and following the light of the moon to find the water. Of all of Stephanie’s books this one had the most lyrical beauty of all. While there are two lines that are repeated on every page, it adds to the story in showing what the newly hatched turtle has it’s mind set on. The illustrations were simple and sweet all on their own. This is a story to get kids interested in learning more about nature! I loved this book! The words and illustrations were equally impressive. The author wrote the book shortly after she had her baby girl and noticed turtle babies running for the ocean. 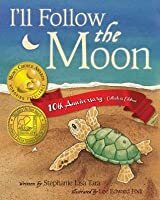 I'll Follow the Moon is a great book to teach kids about sea turtles. It follows a group of turtle babies as they hatch and look for water. Then as they find water you watch them adjust to it and eventually the babies find their mom. This was a cute book. I got mine (kindle edition) from Amazon for free and read it off my browser. It gets a little brainwashing but I suppose that mimics the baby turtles' single-mindedness to return to their mother. If I had a collection of children's books, this one would definitely be part of it. So adorable! I picked this up for free for my Kindle. I had a few moments between shiny things and decided to read it. There isn't much of a story but the illustrations were sweet. I, especially, liked the smiling turtle baby coming out of its shell. Not very scientifically correct, but would do well as a bedtime read. This was a cute and touching story with great illustrations! I remember when I was a kid looking at pictures in these types of books for hours. This book is like the ones that hooked me. It has catchy word phrases, but the best part is the adorable pictures. I can see this being a child's favorite, especially if they like turtles. I live in Florida, but have not had the opportunity to watch sea turtles hatching and making their way to the ocean. I enjoyed the children's story, the repeated phrase and the soft pastel colored illustrations. I will read it to my 3 yr old great- niece when I see her in a couple of weeks, to get a child's reaction. The ending seemed abrupt to me, but overall a pleasant children's story. This was a very sweet children's book. I loved the illustrations of the turtles hatching and making their way to the ocean. It was a nice read, in a very sing-songy way that was pleasing to the ears. I could definitely see younger children loving this book and quickly picking up on the catch phrase that is repeated throughout the book. Cute, rhythmic, and soothing. The beautiful illustrations enhanced this book. A wonderful tale about the caring nature of mothers. A definite great freebie find! The pictures are beautiful. There is a coloring page on the kindle version and links for related preschool activities. I thought the poetry was just ok but my four year old asked a lot of of questions about sea turtles so it does engage young children. The text repeats but I like that about this book- it gives it a nice comforting melody. This is one of our favorite bedtime stories right now and whenever I get to the I'll follow the moon line I have two little voices joining in with me. The artwork is fantastic. 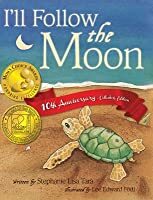 A comforting story that follows the path of a newly born sea turtle who is trying desperately to connect with its mother. The illustrations make the story come even more alive. Used this in a unit plan about the moon. It love it so much. So cute and easy for kids. Have just started reading this a few nights to Pooger. He loves the pictures tho he's still a bit little to understand the text. It' a beautiful book. The new babies will love it too. Too cute!! A lovely little book about baby turtles hatching. I read this to my grandson, he liked the turtles and the way they hatched from eggs. It was sweet how they swam to thier mothers. 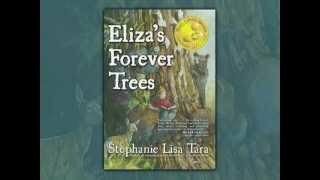 Stephanie Lisa Tara founded a publishing company that empowers kids to care about the planet, themselves and each other. Her creed is activism, inspiring the next generation to make the world a better place. 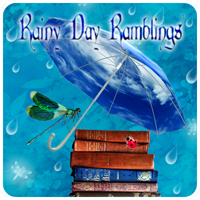 Adults love her books because they help explain 'stuff' in gentle, giggly ways. Kids love her books because they are super fun to read. Who is Stephanie? A San Francisco mom with a great big h Stephanie Lisa Tara founded a publishing company that empowers kids to care about the planet, themselves and each other. Her creed is activism, inspiring the next generation to make the world a better place. Adults love her books because they help explain 'stuff' in gentle, giggly ways. Kids love her books because they are super fun to read. Who is Stephanie? A San Francisco mom with a great big heart. As a child she had bright red hair, a little too bright in fact. Being different got Stephanie thinking...our differences are the celebration! Whether scaly, feathered, furry, or human-skinned; we all call Earth home. Lyrical prose that dances on our tongue, breathtaking watercolors that illume our imaginations...these are the hallmarks of Stephanie's work.